"I'd decorate my guitars with materials like Velcro or contact paper. On one telecaster, I created a Mod pattern of black and white go-faster checks." 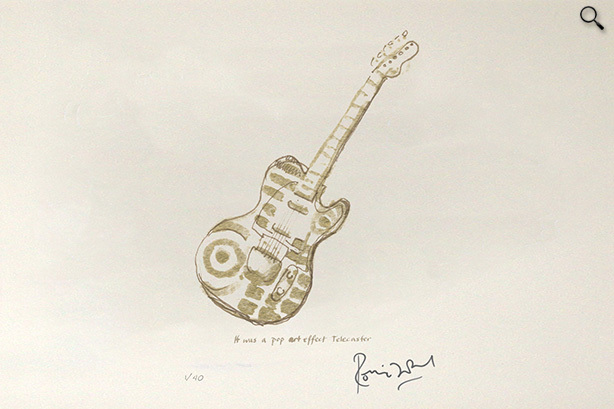 - Ronnie Wood.